With the temperature plummeting faster than Scarlett Johansson’s neckline, you’re going to need a toasty scarf to keep warm this winter. However, not just any old scarf will do. 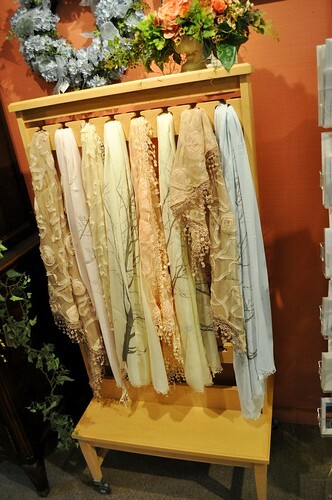 By adding sections of lace and chiffon to a store-bought scarf, you’ll give it a chic texture that’s not often seen. A zigzag stitch will give the scarf a messy, night-on-the-town look. For an extra bit of cool, be sure to leave a fray. Lace adds femininity and texture to clothing. Whether you’re doing ruffles, overlay or trim, solid color dresses like a sleek and simple Michael Kors are a great foundation for your DIY project. If dresses aren’t your thing, you can add a small lace trim to a classic button cardigan. If you feel you have the skills for a more challenging project, then go ahead and start with a more expensive foundation. The satin camisole you bought at Nine West would look spectacular with a lace sleeve, right? Just be careful not to take on more than you can handle. The last thing you want is to have scissor and recycle that beautiful dress because you suddenly thought you had the sewing skills of a classic 16th century European lace maker. 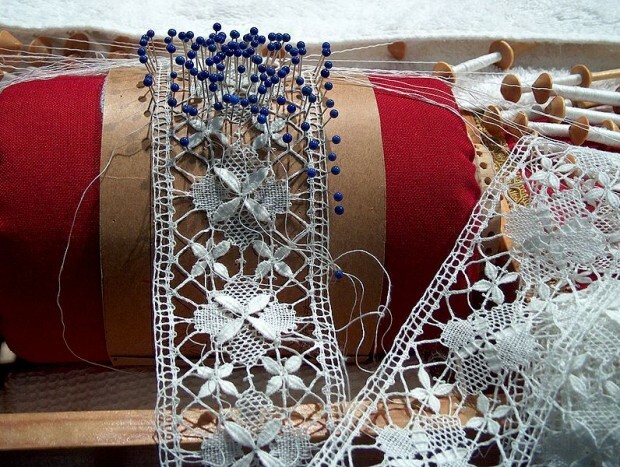 Lace can be used for other purposes than embellishment on apparel. For example, have you ever looked inside your jewelry box and thought, “Wow, I really need to get some new earrings, or I’m not wearing that necklace, it’s so last season.” Instead of heading to Tiffany’s to drop a bundle on a heart pendant, why not take what is old and on-hand and make it new again? Let’s put it another way: Why don’t you accessorize the accessories. 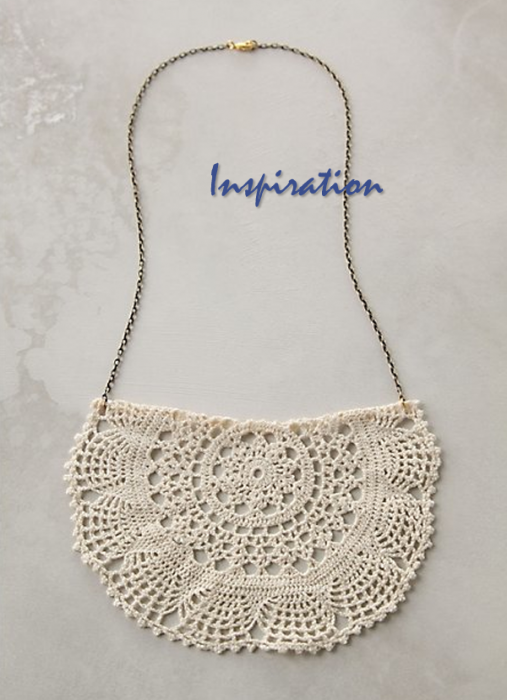 From lightweight lace earrings to a simple, silver chain necklace embellished with a structural piece of lacquered lace, adding a little flair to your existing jewelry collection is a good idea if you’re tired of wearing the same stuff every day. 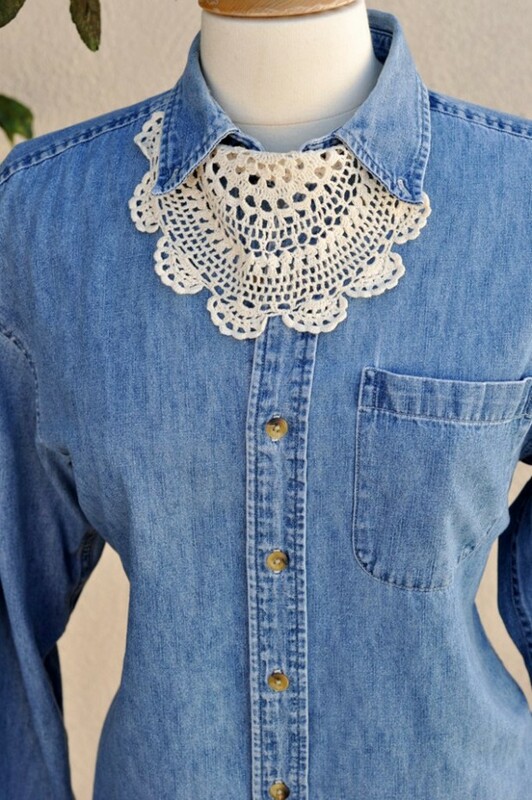 Denim and lace go together like wine and cheese. It’s a fashion match made in heaven. Embroidery always looks good on jeans, but lace trim work and intricate, branching pinwheels are more elegant than traditional colored embroidery. A lace overlay on a denim pocket looks great, but it’s nothing in comparison to restyling those old Daisy Duke cut-offs that have been buried in your closet since the 1970s with lace trim or a small peekaboo window.